With the Pokerexpo in Bern on 15th December 2007, all eyes are on Switzerland these days. 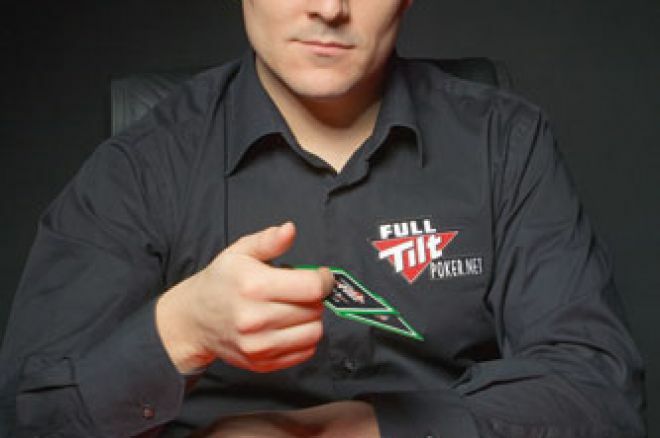 A perfect moment to announce that Swiss poker pro Rino Mathis joins Team Full Tilt Poker. Besides Niki Jedlicka and Eddy Scharf, Rino Mathis is the team's third German speaking member. But it has been a long trail for the computer scientist. He first discovered his passion for Chess and Backgammon, resulting in his first big victory – he won the European Backgammon Championsphips in 1993. He then started playing more and more poker with friends and he realized his strength was in live tournaments and so on the weekends he played a lot of tournaments in the casinos of Bregenz, Vienna or Amsterdam in his favourite game – Texas Hold'em and he won tournaments by the dozen. Adding up to more than 40 victories, he is probably Switzerland's most successful player. His biggest Success was in 2002 when he won the LIDO event and €117,000. 16 years of experience and dedication to get more attention for poker in his home country made him the perfect candidate for the "Full Tilt Pros Germany" and their motto is "Learn, Chat and Play with the German Pros". As "Swiss international ambassador" in numerous tv appearances and interviews, he founded the poker information site http://www.pokeraction.info which formed quite a remarkable number of members. The poker community admires him for his commitment and his thoughtful play. The father of two sons lives with his wife in Uster near Zurich and enjoys life as a family father and a wine connoiseur.